It seems that wherever you look, someone is advocating the use of mindfulness for something. Whether it is to improve some aspect of mental health, help children to concentrate in school, reduce stress at work, or develop resilience, mindfulness is everywhere. But can it really be an important part of treating and managing mental health problems, or is it all hype and buzzwords? Mindfulness is the practice of being aware of the present moment. Being mindful helps people to become more aware of what is going on in and around them—their thoughts, feelings, and sensations—and therefore to focus on the present. It is rooted in Buddhism and meditation, but does not require any particular religious beliefs to practise. It is therefore a relatively simple concept, but surprisingly powerful in its effect on your mind. Mindfulness seems to help people to change how they think. The focus on the present can be useful in managing mild levels of mental health conditions like anxiety, or just in improving general well-being. It also helps to make people more self-aware, and enables them to make more conscious choices about how to respond to thoughts and feelings. This is probably not surprising, given that its whole focus is on being aware of yourself and your surroundings. This in itself would probably justify the use of mindfulness in schools and workplaces. Anything that helps people to manage and regulate their own emotions is likely to be useful where people have to live and work in close proximity, often under stressful circumstances. However, evidence is growing that the technique is actually very powerful, and may be helpful in managing and treating several common mental health conditions. 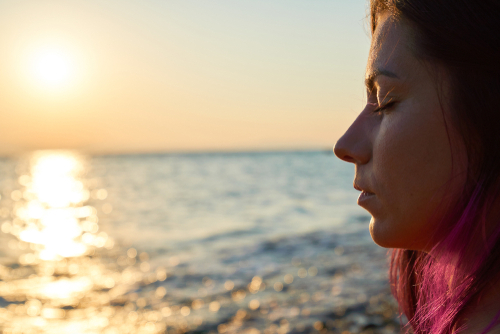 Research suggests that mindfulness works by changing how the brain works. People doing mindfulness training, for example, tend to have more activity in the pre-frontal cortex, which is the area of the brain associated with positive emotions. This area of the brain is also less active in people with depression, so there is a suggestion that increasing its activity may help to stave off episodes of depression. Meditation more generally has been linked to better emotional regulation, which is also likely to help in managing some mental health conditions. There is also some strong evidence that mindfulness can be effective in treating some mental health conditions. 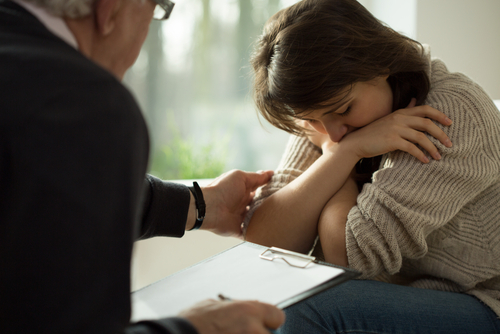 The National Institute for Clinical Effectiveness (NICE) recommends that people with a history of recurrent depression consider its use as a preventive practice—and NICE does not recommend anything without some serious evidence behind it. There is also evidence that mindfulness-based cognitive therapy can help to treat depression, by teaching people techniques to change the thought patterns associated. Mindfulness-based stress reduction is also proven to be effective. It has been used to help people manage stress and prevent the development of some of the associated mental health problems. It has also been used in combination with other therapies to help treat symptoms of anxiety. NICE does, however, warn against using mindfulness to manage social anxiety, suggesting that it may make symptoms worse—perhaps because focusing on social anxiety has a way of magnifying the problem. Mindfulness is, therefore, a powerful technique that can help some people in managing certain mental health conditions, albeit with some caveats. It is not, however, any kind of cure-all. It is simply a technique that can help you to manage your thoughts. If it works for you, by all means use it— and please don’t be cynical about it. It has proven benefits for improving well-being, and in managing a range of conditions. It is particularly good as a preventive measure for those with a history of depression or anxiety. You could think of it as another potential tool in your armoury against various mental health conditions. You are not, however, going to be able to ‘cure’ your bipolar disorder (or any other serious mental health condition) by mindful meditation, however much you would like to believe this is possible. 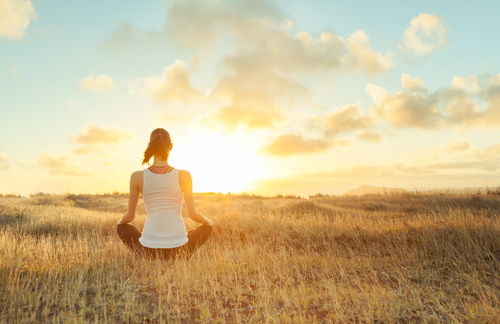 There is a place for mindfulness, but there is also a place for medication and medical care. We know that a number of mental health conditions are linked to chemical changes in the brain. In this sense, they are as much physical illnesses as mental. Just as you would consult a doctor, and take medication for a heart condition or cancer, so you should for a mental illness. There is no shame in doing so. You can book a consultation with Dr Sukbinder Bilkhu, who has expertise in mental health, here.